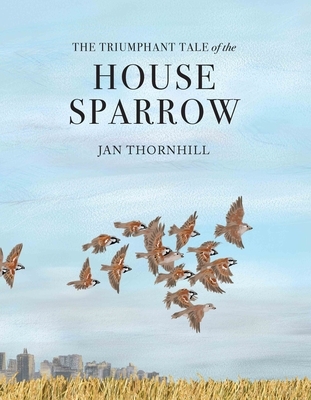 So begins Jan Thornhill's riveting, beautifully illustrated story of the House Sparrow. She traces the history of this perky little bird, one of the most adaptable creatures on Earth, from its beginnings in the Middle East to its spread with the growth of agriculture into India, North Africa and Europe. Everywhere the House Sparrow went, it competed with humans for grain, becoming such a pest that in some places "sparrow catcher" became an actual job and bounties were paid to those who got rid of it. But not everyone hated the House Sparrow, and in 1852, fifty pairs were released in New York City. In no time at all, the bird had spread from coast to coast. Then suddenly, at the turn of the century, as cars took over from horses and there was less grain to be found, its numbers began to decline. As our homes, gardens, cities and farmland have changed, providing fewer nesting and feeding opportunities, the House Sparrow's numbers have begun to decline again -- though in England and Holland this decline appears to be slowing. Perhaps this clever little bird is simply adapting once more.